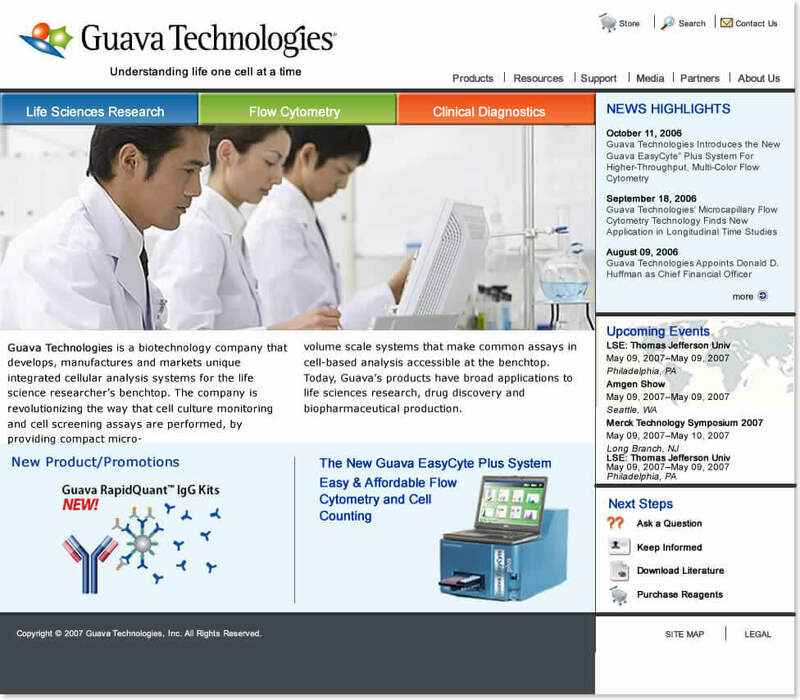 Guava Technologies, Inc. was a private biotechnology and medical device company that designed, developed, and delivered easy-to-use, on-demand, bench-top cell analysis systems along with an ever-increasing portfolio of turnkey assays designed to support a variety of applications. All systems provided absolute cell counts and offered user-friendly, assay-specific analysis software to minimize time between hypothesis and results/conclusion. 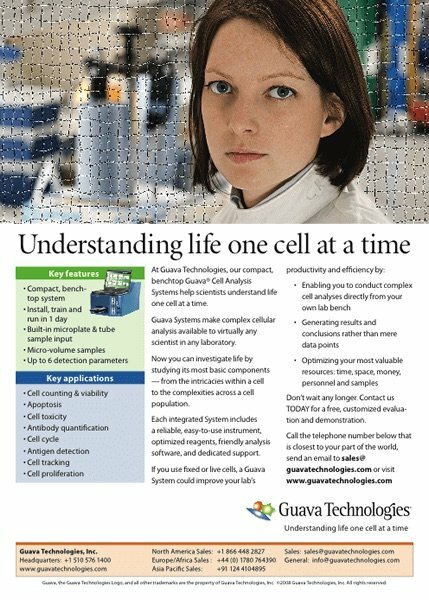 Ideal for a broad range of medical and biomedical applications, Guava® systems and reagents helped scientists around the world. The company hired HiveMind Marketing to help them reposition the company, update its branding and messaging, and ultimately launch a website and lead generation programs to support aggressive business goals. Understanding life one cell at a time. This universal theme was amplified in high-impact print advertising within scientific research publications. We also redesigned their aging website to deliver targeted content to audience channels. The company’s new corporate visibility, record-setting website traffic, strong lead pipeline, and press coverage attracted the attention of the industry. The company was sold to Millipore within a year. Based in San Jose, and serving Silicon Valley, HiveMind Studios is a creative marketing agency that specializes in branding, advertising, inbound marketing, digital marketing services, and creative concepts for companies around the world.